Reflection and writing on their Action Learning experiences. In the Foundations program, which is pre-requisite for the next 4 days, participants are exposed to the theoretical as well as the practical aspects of Action Learning. 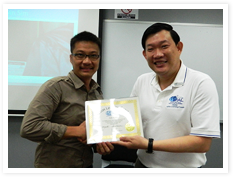 Participants are given the option of experiencing Action Learning as either a participant or a coach or both. In the certification process, participants increase their proficiency as team coaches, learn from their project experience and receive feedback regarding their team coaching proficiency from peers and Master Action Learning Team Coaches. 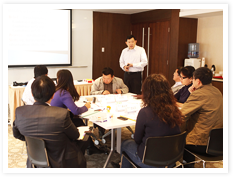 After Foundations and before the start of the final 2 days, participants are required to have engaged a group in an Action Learning project. Act as an Action Learning Coach once during a practice session in each workshop. Observe at least once. Observers, along with a Master Team Coach, will observe opportunities for interventions and give feedback on the effectiveness of the intervention made by the participant who is practicing and developing skills as an Action Learning Coach. Action Learning coaches must be prepared to handle behaviors disruptive to the Action Learning process. Since these behaviors are not likely to be observed during the training process, written homework assignments will be given to challenge participants to reflect on and prepare responses to a variety of "what-if" situations. Participants will complete a 3 - 5 page paper describing an Action Learning project. Each paper may describe one of several phases of the same project or different projects. To be considered complete a project must reach at least the stage where the Action Learning Team defines and develops plans for implementing solutions. During the coaching workshop time will be reserved for participants to discuss the challenges they are facing with their projects and to gain insight from fellow participants and the Master Coach on alternative ways to understand and address their situations. Assessment of a participant's Action Learning Team Coaching proficiency will consist of a combination of the observations of the Master Coach and observer(s). A coach must demonstrate proficiency for all elements of the certification instrument, as observed over the 4 days and a participant who is not rated as proficient by the end of the final session will be afforded an opportunity to join another cohort for a single session to gain more experience and proficiency. "What if" homework will be assessed on a pass/fail basis for each question. Participants will be offered the opportunity to redo any questions they did not pass. The two papers on the Action Learning project will also be assessed on a pass/fail basis. 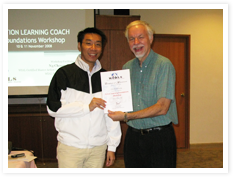 WIAL Singapore is the official international affiliate of the World Institute for Action Learning (WIAL) led by the father of Action Learning, Dr Michael Marquardt.